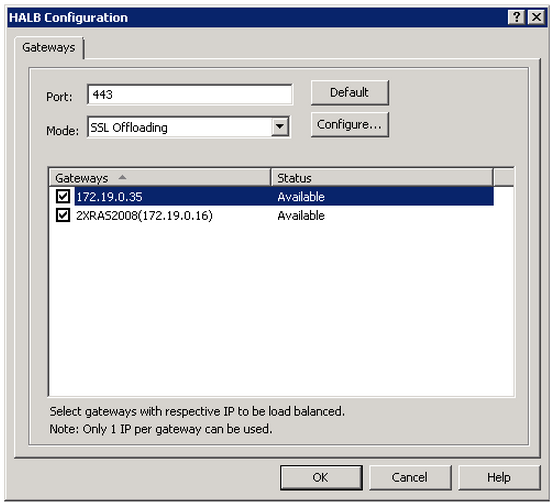 Note: If you are looking for information on setting up HALB for Parallels Remote Application Server 15, please visit KB 123607. Before you can configure HALB from the Remote Application Server console, you need to import an appliance with either of the following Hypervisor platforms: VMware, Hyper-V or Virtual Box. An appliance is a pre-configured virtual machine (including an operating system and other relevant settings). For Virtual Box or VMware this appliance should be imported with either the OVA or zipped VMDK appliance file obtained from the website. For Microsoft Hyper-V this appliance should be imported with the zipped VHD file obtained from the website. 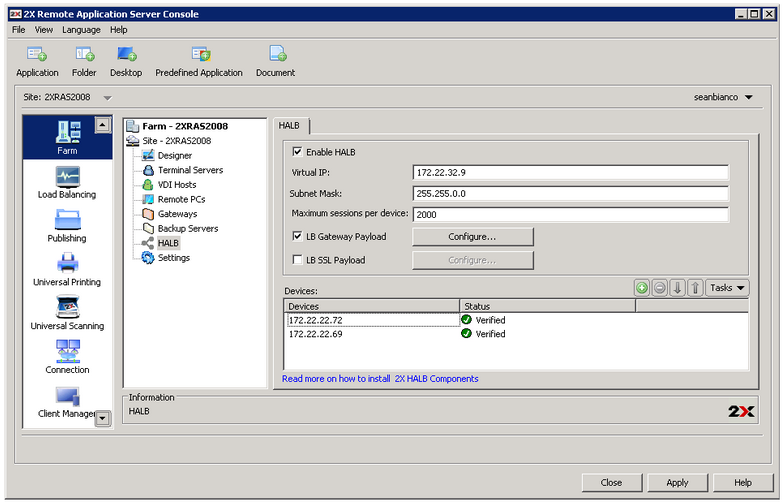 Once confirmed, proceed with the 2-stage setup process: HALB appliance installation and configuration and adding a HALB appliance from Remote Application Server. The HALB appliance should be imported on a Hypervisor running on a machine within the same local network as Remote Application Server. 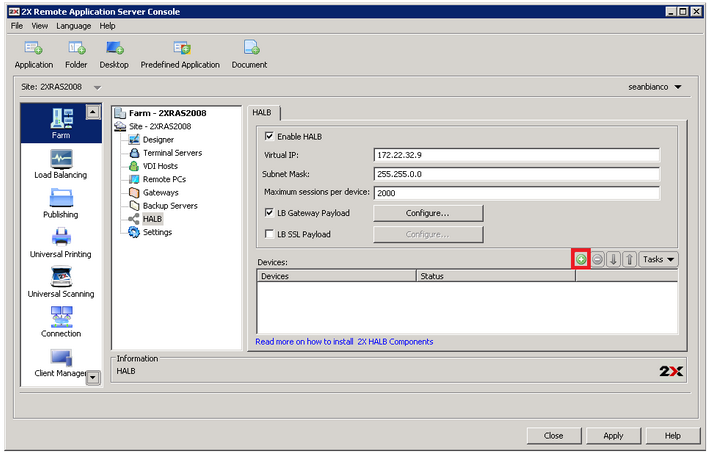 Import the HALB appliance on a supported Hypervisor according to the procedure below. Download the required HALB package i.e. either the OVA, VMDK or VHD file from the website. Import either the VMDK, OVA or VHD file from the virtualization platformâs management console. 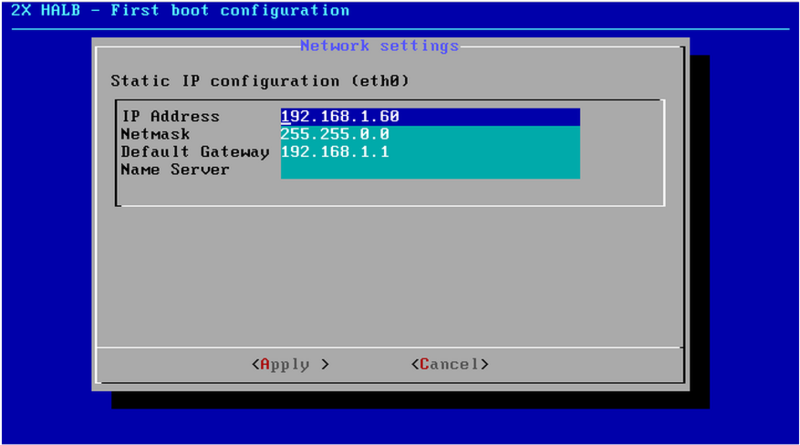 Subsequent to the HALB appliance installation, the appliance has to be configured from a Remote Application Server farm. 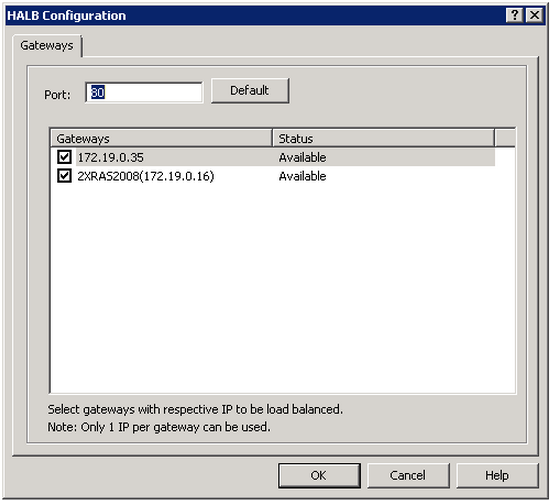 From the HALB Configuration window select the gateways that 2X RAS will load balance using the HALB appliances and click OK.
Next, for load balancing SSL connections, enable LB SSL Payload check box and click Configure. 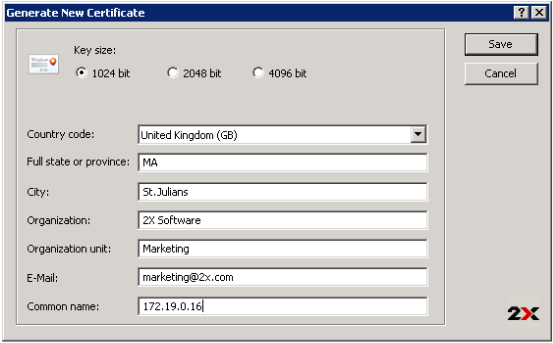 The mode selected Mode dropdown specifies where the SSL decryption process is performed. By default, the SSL connections are tunnelled directly to the gateways (referred to as passthrough) where the SSL decryption process is performed. To set the SSL decryption process to be performed on the HALB appliance, select SSL Offloading Mode and click Configure. 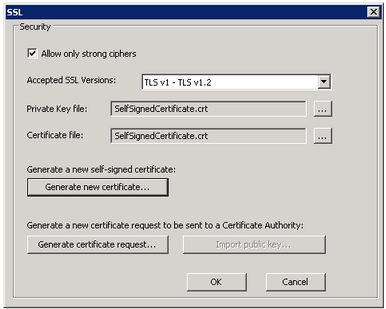 This mode requires an SSL certificate installed on configured HALB appliances. Select the Accepted SSL Version from the options available in the drop down. Once you receive the SSL certificate from the certificate authority click on the Import public key, browse for the certificate file containing the public key and click Open. Remote Application Server is capable of detecting 2X HALB appliances over the network and display them, as a list. Selecting detected HALB appliances from this list is the preferred method for adding new appliances. If for some reason, the appliance cannot be detected, you can also add the appliance manually by specifying the appliance IP in the IP Address field. Click OK to apply the config. 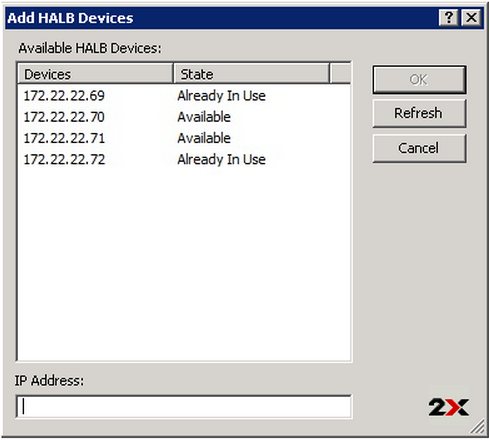 Finally, click Apply for configuration to be applied to all added HALB appliances.